An exploration in app design. NOMS Around South Bend is a restaurant guide specifically tailored for students at the University of Notre Dame. It features 30 South Bend restaurants that can be sorted into six different categories and labeled with four icons. Each restaurant has a useful information card and pop-up that reveals a stylized map and handy “What's My Route?” button. This project was the result of an assignment to create an iPad app that utilized buttons to explore or configure solutions. I developed four unique ideas for this assignment, each reflecting a personal interest. The first was a boxing combination game to help boxers train. Second was a restaurant guide for the South Bend area to help students explore the city. Nostalgic for my time abroad, my third concept was a travel diary with recommendations for visiting various European cities. Finally, I considered creating a manual on how-to pick the ripest produce based on my love of fresh fruit. 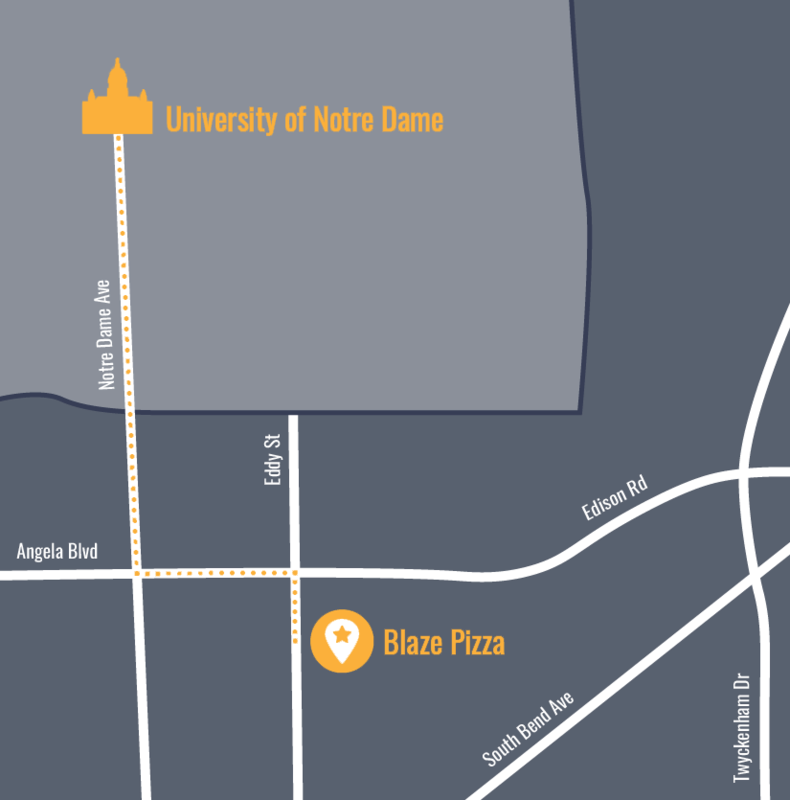 After an in-class discussion, I opted to pursue the restaurant guide for Notre Dame students. I began creating profiles on local restaurants, taking note of their names, price points, addresses, hours and more. Then, I created six categories so that users could easily refine their searches based on occasion and general price point. 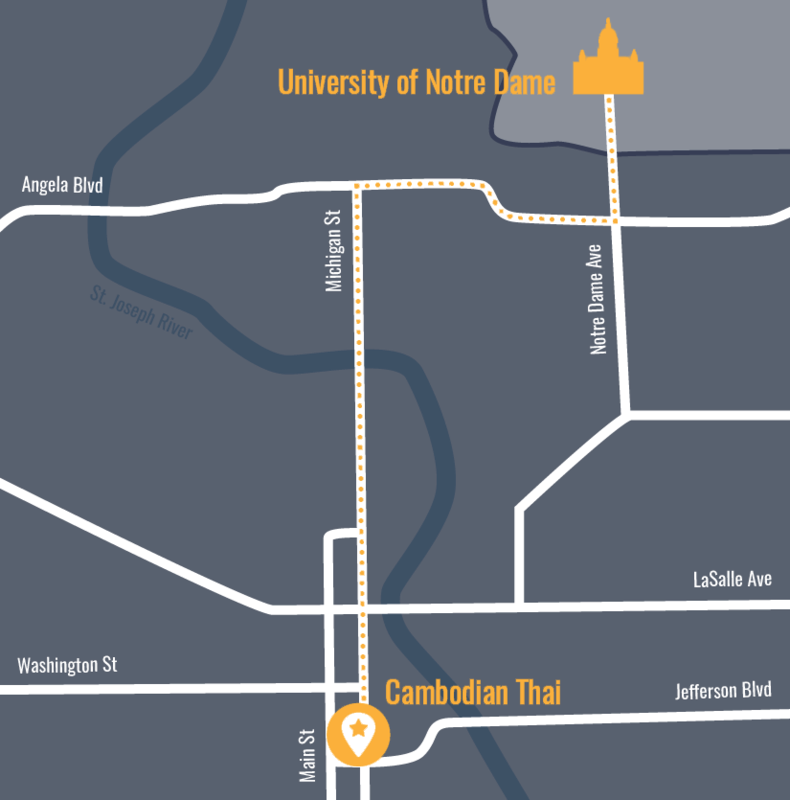 I also created a set of icons to indicate which restaurants took reservations, were walking distance from campus, accepted Notre Dam'e student money (known as Domer Dollars) or had a 21+ only section. Both the categories and icons made NOMS Around South Bend more user-friendly, set it apart from other restaurant guides and provided students the most relevant information. As I began designing the cards for each restaurant, I realized the importance of being able to contact and locate restaurants from within the app. I began to consider information hierarchy as well as how to incorporate directions into the app by creating stylized maps and exploring the capabilities of Google Maps. My completed app boasts a splash page with instructions on how to use the app. Inside, 30 restaurant cards can be filtered into my six original categories. Each restaurant also has a customized pop-up with additional information. 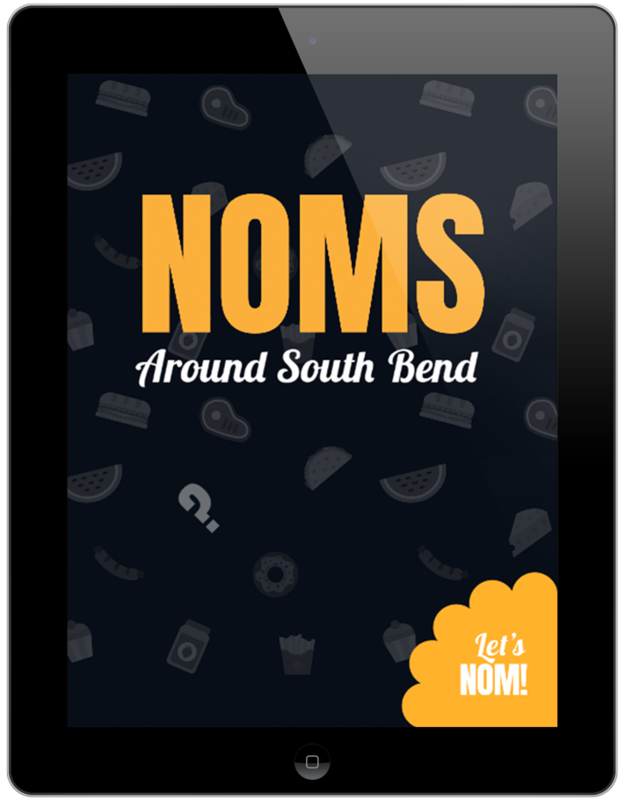 The splash page for NOMS Around South Bend welcomes users to the app and provides instructions with a single click. Users can proceed to the restaurant section by clicking the NOMS logo or the “Let's NOM!” button in the lower right-hand corner. Upon entering the restaurant section, all 30 restaurant cards are displayed in alphabetical order. 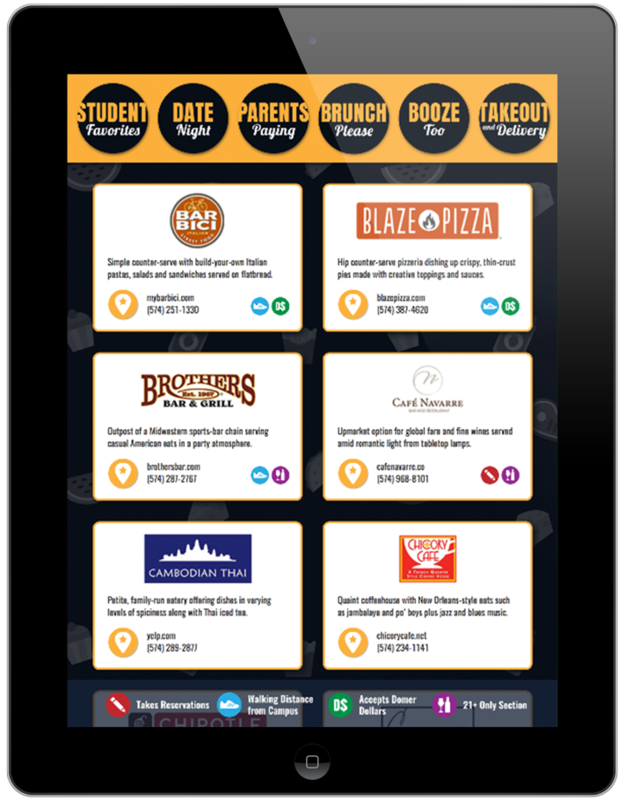 Users can click between the different categories to filter their results or browse all 30 restaurants at once. Each card links directly to the restaurant's website. Phone numbers are also tappable on mobile devices. 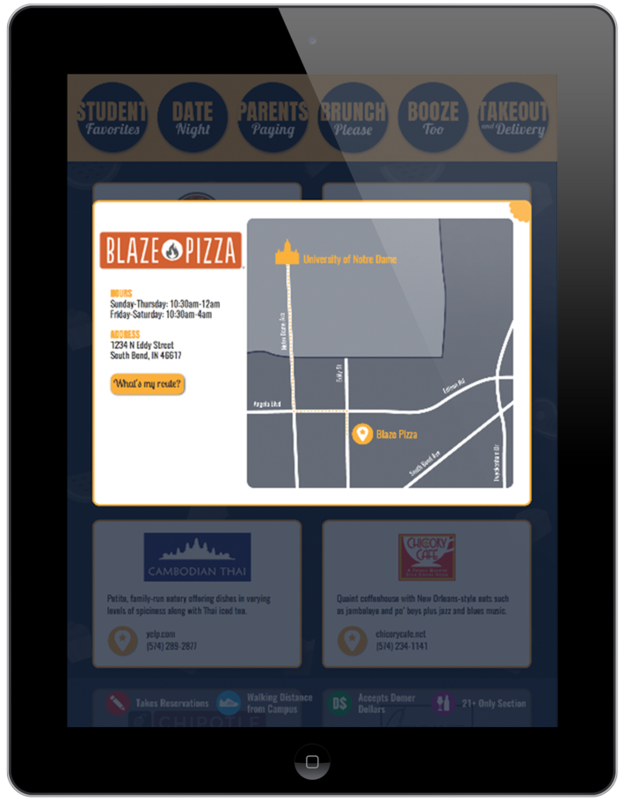 The yellow button in the bottom left-hand corner of each card activates a pop-up with a restaurant's address and hours, stylized map and customized ”What's My Route?” button that links to directions from the user's current location to the restaurant of choice.